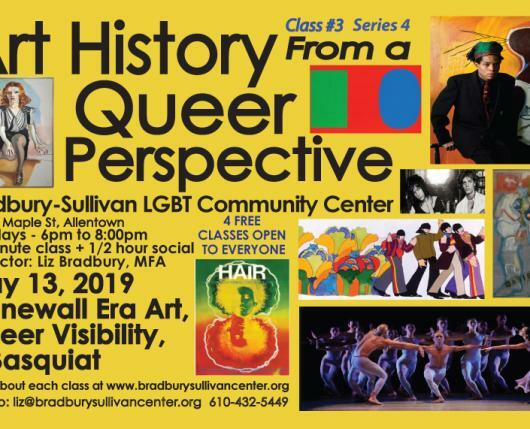 In celebration of the 50th Anniversary of the Stonewall Riots Bradbury-Sullivan LGBT Community Center will be looking at the artists and societal movements that surrounded and empowered LGBTQ people leading up to and after the Stonewall Rebellion in 1969, when everything about the Queer community began to change. Queer artists of that period were part of the second wave of Abstract Expressionism, Pop, Op, Photo Realism, and the beginnings of Performance Art. 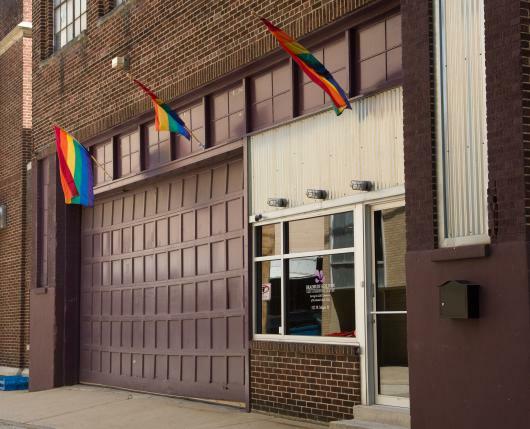 Their decisions to be out and proud fueled and were fueled by the Civil Rights, the Anti-War, and Women’s Movements, the Sexual Revolution, and the Stonewall Rebellion. This class will weave it all together and there will be great themed snacks.